One of the most remarkable challenges mastered by plants was the water-to-land-transition (plant terrestrialization) that occurred some 500 million years ago. This change in habitat inevitably required molecular adaptations to cope with an array of new stresses. 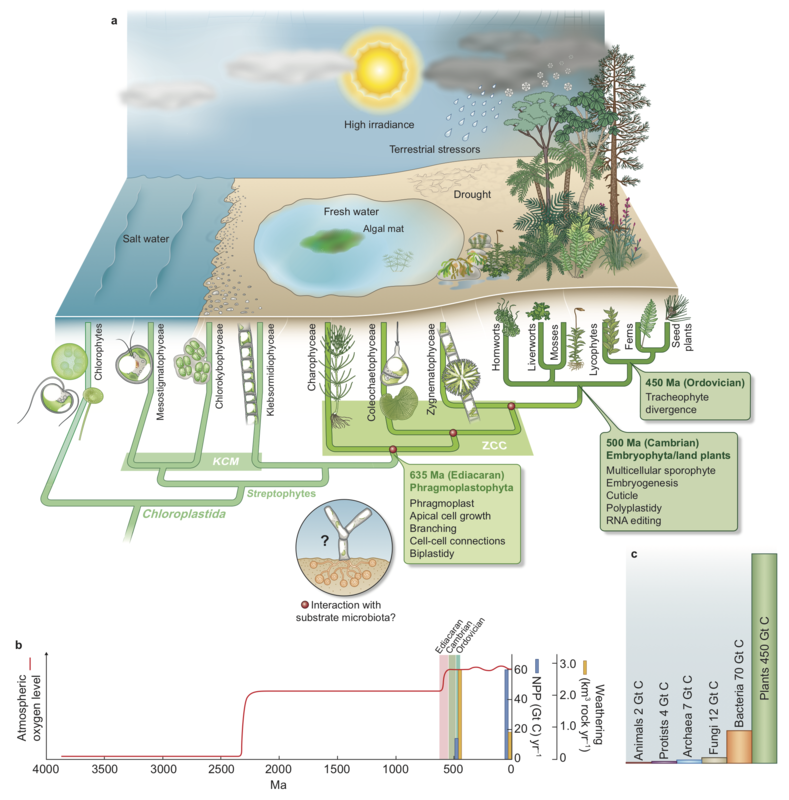 Plant terrestrialization also caused a dramatic change through the transformation of Earth’s atmosphere and soil cover, priming Earth for life as we know it (Fig. 1). 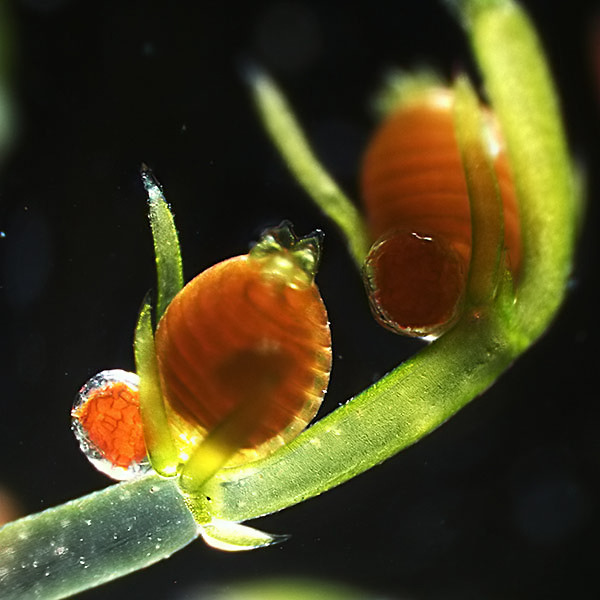 The Phragmoplastophyta comprise three lineages of streptophyte (charophyte) algae as well as the land plants (Embryophyta). 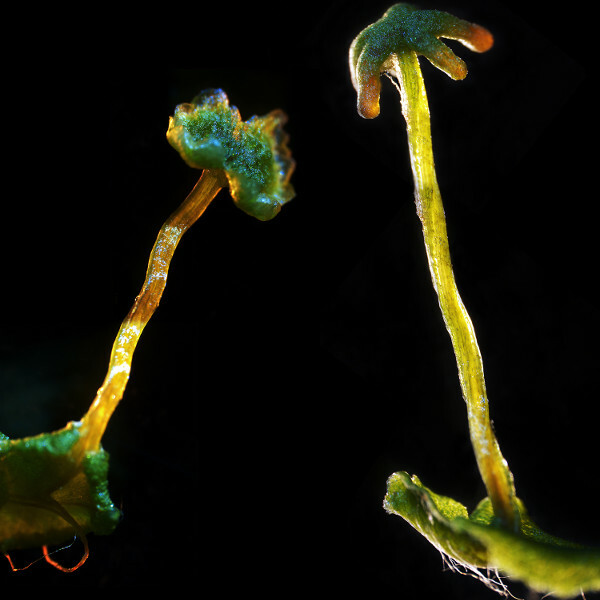 Evolving from the streptophyte lineage, the earliest land plants made use of fungal symbioses to gain access to inorganic nutrients, thought to have been instrumental for the habitat transition of plant life. Initially morphologically primitive plants evolved a complexity that allowed them to conquer ever more habitats. Due to the drastic habitat change during the conquest of land, inference of molecular adaptations underlying the process of terrestrialization promises a significant gain of knowledge. This is of special interest both in order to understand plant evolution and adaptation to environmental changes, and for the transfer of such knowledge to other disciplines. By a novel comparative and functional evolutionary approach, encompassing charophyte algae and non-seed plants as models, this Priority Programme will study the genetic mechanisms underpinning the dramatic environmental adaptation to conditions on land and the evolution of plant complexity. 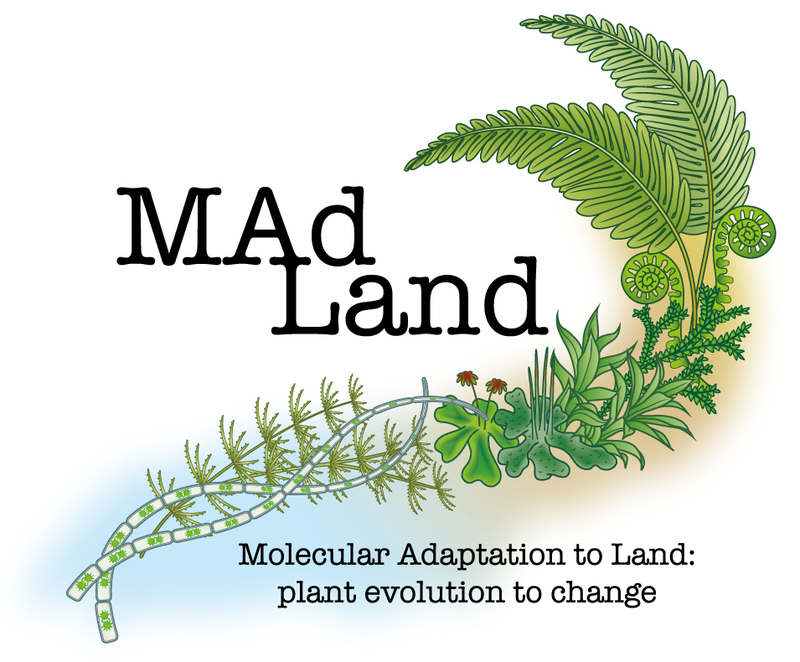 Research in the Priority Programme MAdLand will unravel the genetic mechanisms underlying adaptive evolution of plant morphology, physiology, biochemistry, cell biology and biotic interactions, and it will identify the ancestry of processes from which the diversity of seed plants evolved. Fig. 1: Key steps of evolution. Plants had to adapt to terrestrial stressors during their adaptation to land. 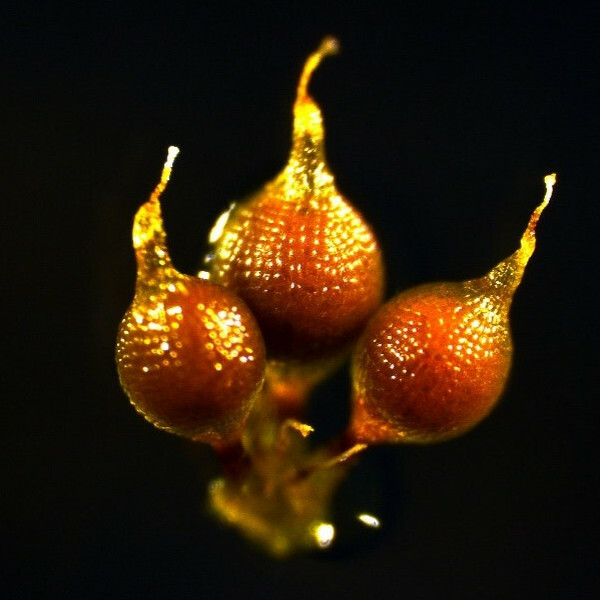 Early land plants were pivotal to the rise of atmospheric oxygen and weathering of rock, laying the basis for animals to emerge from the water and for todays’ ecosystems to evolve. Plants represent the biggest biomass and hence carbon sink on Earth by far. a) The green (chloroplastidal) lineage split some 1,000–700 Ma ago into the Chlorophyta and Streptophyta. The KCM grade (comprising Klebsormidiophyceae, Chlorokybophyceae and Mesostigmatophyceae) is sister to the monophyletic Phragmoplastophyta, which evolved in the Ediacaran (635 Ma ago), comprising the ZCC grade (Zygnematophyceae, Coleochaetophyceae and Charophyceae) as well as the land plants (Embryophyta) that diverged in the Cambrian (500 Ma ago). Evolutionary key traits are listed in the green boxes for the Phragmoplastophyta and Embryophyta. b) Evolution of atmospheric oxygen concentration, the major rise to todays’ levels coinciding with the emergence of land plants. Blue and yellow bars: NPP, net primary productivity and weathering of rock for Ordovician and current vegetation. c) Biomass in Gt C of different taxonomic groups. For comparison, biomass of Ordovician land plants 133 Gt C. Adapted from (de Vries et al. 2018a) (a), topology according to (Puttick et al. 2018, Wickett et al. 2014), divergence times from (Morris et al. 2018). The data in (b) are from (Lenton et al. 2016, Lyons et al. 2014, Porada et al. 2016) and in (c) from (Bar-On et al. 2018). Model organisms employed by MAdLand encompass the three shown above (Chara, Marchantia and Physcomitrella) as well as the hornwort Anthoceros, the ferns Azolla and Ceratopteris, and the streptophyte alga Zygnema.